Bonny Breast is a natural product obtained by using new biochemical technology to extract the effective contents from plants. 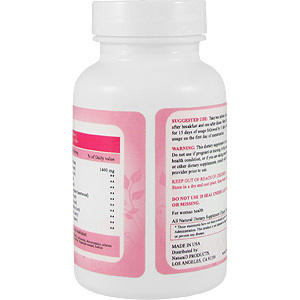 Bonny Breast includes several plant extracts containing phytoestrogens which has shown the effect of promoting growth and expansion of the breasts. The characteristics of this granular product are easy to absorb and can adjust the endocrinal function of the body, maximize the blood flow of the breasts, enhance the sensitivity of breast tissue response to hormonal function, and promote growth of milk ducts and fat tissue of the breasts. With these unique functions one can expect that Bonny Breast can work effectively make the female breasts firmer, more elastic and larger in size. Since Bonny Breast is extracted from natural plants one need not worry about side effects if he product is used according to the directions. Most females who take Bonny Breast can see the results after about one month of use. In fact, from three days to one week after starting to use Bonny Breast, the user can already feel the mild distention and firmness of the breasts. Generally, initial response time varies from one week to one month, depending on the individual. Maximum breast enhancement can be expected after 3 full months of use, with increases of 1 to 3 inches in breast size. If use is discontinued before the maximal response is reached, the breasts will return to the original size over time. For some users, due to various sensitivity of the body, it may take a longer time to get such results. To a younger female, a daily maintenance process for the breasts is very important for keeping a good body shape. Take two tablets a day, take one tablet after breakfast and one after dinner. Bonny Breast is intended for 15 days of usage followed by 15 days of rest. Start initial usage on the first day of menstruation. The entire cycle will be 2 months. Warning: this dietary supplement is for adult use only. Do not use if pregnant or nursing. In the presence of any health condition, or if you are taking prescription medicine or other dietary supplements, consult with a health care provider prior to use. Store in a dry and cool place. Keep bottle tightly closed. †Daily Value not yet established. Linna "Back To College Days"
I was a skeptic at first, I took Bonny Breast formula to my doctor who said she really didn't know if it would work. I decided to try it and I am glad I did. It saved me from surgery, and my breast look like they did in college. Really Love It! BonnyBreast is shipped in a discrete, unmarked package. Orders are processed immediately and usually take about 3 to 5 working days to be received. We do ask that you try it for 2 to 3 weeks to feel the full effects. Any information received is used only for order processing and shipping purposes. Your information, such as e-mail address, will never be disclosed to a third party.